Here's a t-shirt design I recently completed for my friends in My Son The Hurricane. 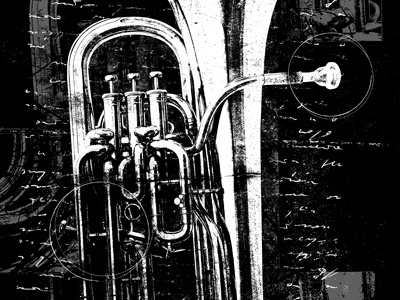 The original concept was to create a "monster sousaphone", which then lead to a treatment similar to that of a medical textbook. The band was very pleased!